SodaStream, the nation’s favourite sparkling drinksmaker relaunched earlier this year and is set to be the most sought after gift this Christmas. The new SodaStream comes in a range of stylish designs and colours and is the ultimate gift for kids and adults alike, making your own pop is festive fun for the whole family and the perfect way to add some extra sparkle to Christmas holidays and New Year parties. 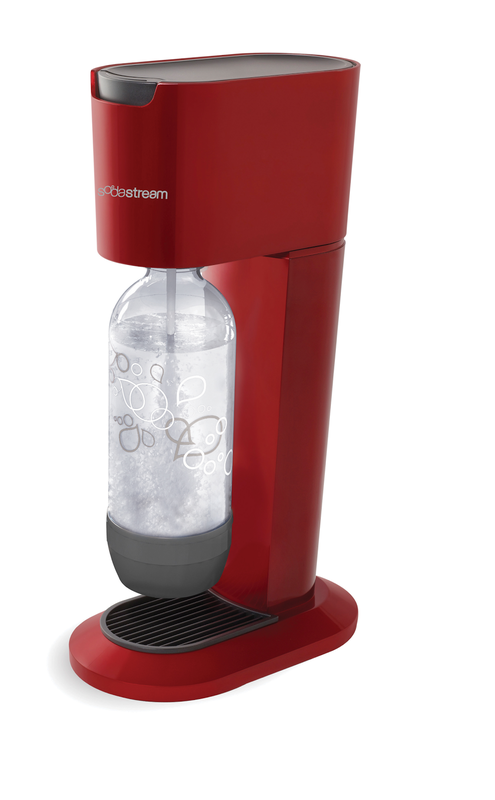 "I have always wanted a Sodastream ever since I was a kid so reviewing this was like dream come true. Embarrassingly, I always thought you had to plug a Sodastream in so I when I saw there was no plug I thought it was damaged - silly me! We had great fun making our own drinks and they tasted good too. I was a bit concerned that all of the drinks would be full of sugar but as well as some classic old school flavours like Cream Soda and Dandelion and Burdock there are also some sugar-free varieties too. What a great family gift idea." A great gift for foodies looking for the latest in kitchen scales. The Aquatronic™ measurement system ensures accurate weighing of both liquids and dry ingredients. 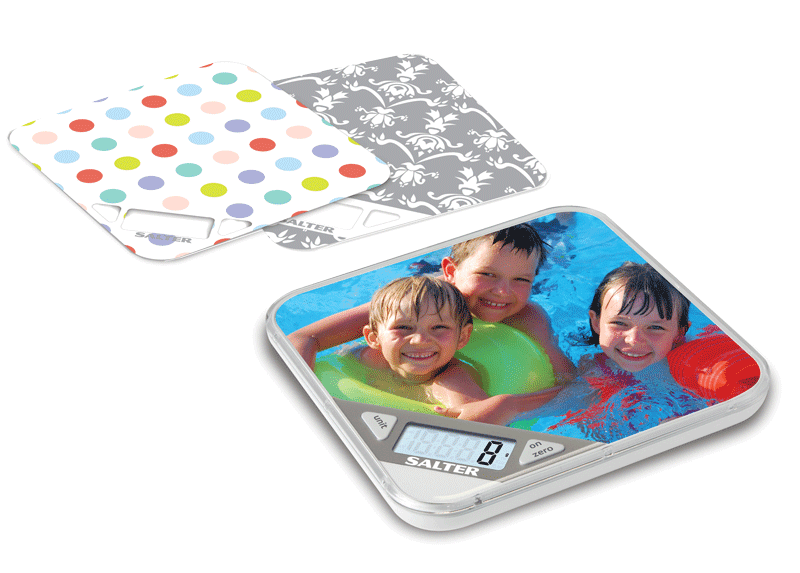 The removable top cover allows you to get creative and insert a picture or design of your own or if you can use the selection of interchangeable designs that come with the scale. "This will probably sound ridiculous but we actually have these scales hanging on our kitchen wall. We've put our own picture in it and now it's on the wall we always know where the scales are! (There's a website where you can go and create your own designs and print them off). This is a fab product and I'm so glad we got to review it. It has a build in clock, an easy wash top, but critically you can 'zero' the scales when you've got a bowl on it and to make things easier for me you can switch between imperial and metric measurements. As a family, we love to bake and the kids think it's hilarious that their picture is on the 'weigher'. Now they keep asking if they bake all the time! ' I think its brill and I may even buy my sister one for Christmas - sssh don't tell her!" 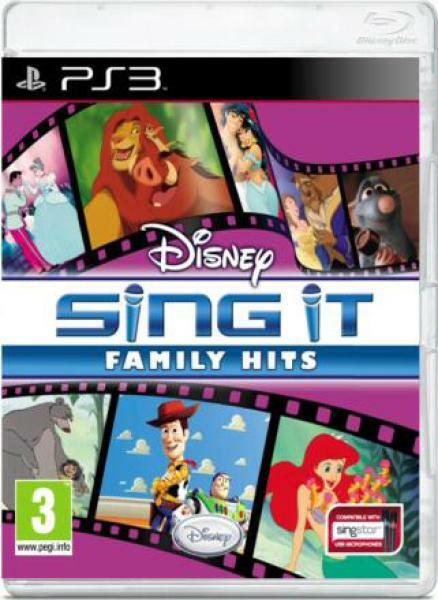 Disney Sing It: Family Hits features beloved songs and videos for the whole family to sing along with from popular all-time classic Disney films including Cinderella, Sleeping Beauty, Mary Poppins and The Jungle Book as well as contemporary favourites from films like The Princess and the Frog, The Lion King, Aladdin, Cars and more. 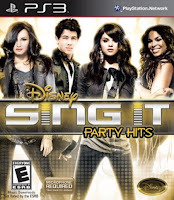 Disney Sing It: Party Hits features songs and music videos from today's top artists including Justin Bieber, Black Eyed Peas, Jonas Brothers, Jordin Sparks, Owl City, Paramore, Selena Gomez, Ashley Tisdale, Kelly Clarkson, One Republic and many more. In addition, Demi Lovato, assists players by providing various ways to be a better performer. This will include basic exercises from breathing and pitch, to more advanced exercises such as learning how to harmonize in a duet. "We love Sing It games in our house and these are brilliant. It's a great way to get the kids singing. It's family karaoke and because they are all well known Disney tracks everyone can join in (no excuses!) We pitted adults against the kids for a Sing It battle. I thought we had in in the bag on 'The Bear Necessities' but the kids won! We're off to a party New Years Eve and these are coming with us. The family hits are are great if you have younger children and if your kids are more Camp Rock 2 and you like a bit of the Black Eyed Peas then you might want to try the Party Hits. Either way there'll be fun all around. Fantastic!!"